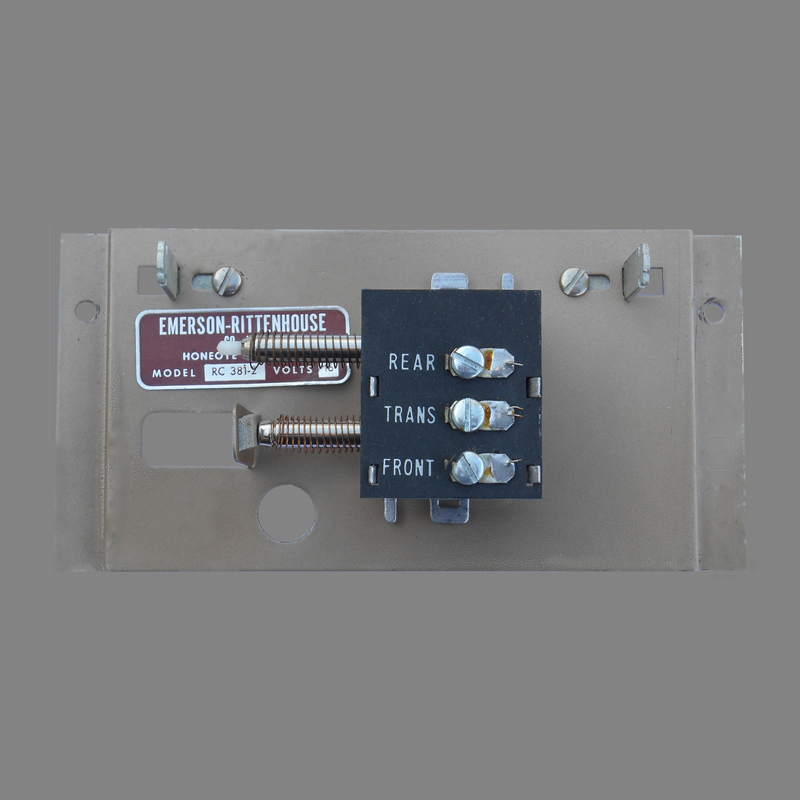 The Rittenhouse Fairfax C8381-2 is a two-note long bell tubular door chime with a stereo-like look complete with speaker cloth. FAIRFAX (formerly 381/382) Attractive new design in walnut brown or soft beige. Long brushed brass tubes sound 2 clear notes for front entrance; single note for rear. 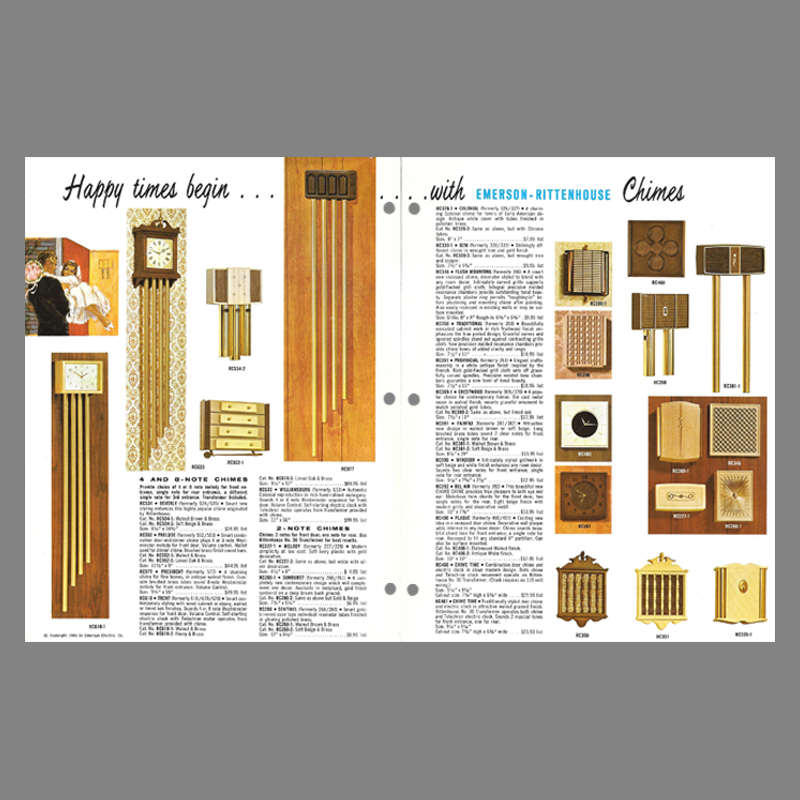 The Rittenhouse Company had been acquired by Emerson Electric in the early 1960s and by 1966 the parent company endeavored to cast a halo of electronic expertise over the Rittenhouse line of doorbells and door chimes. 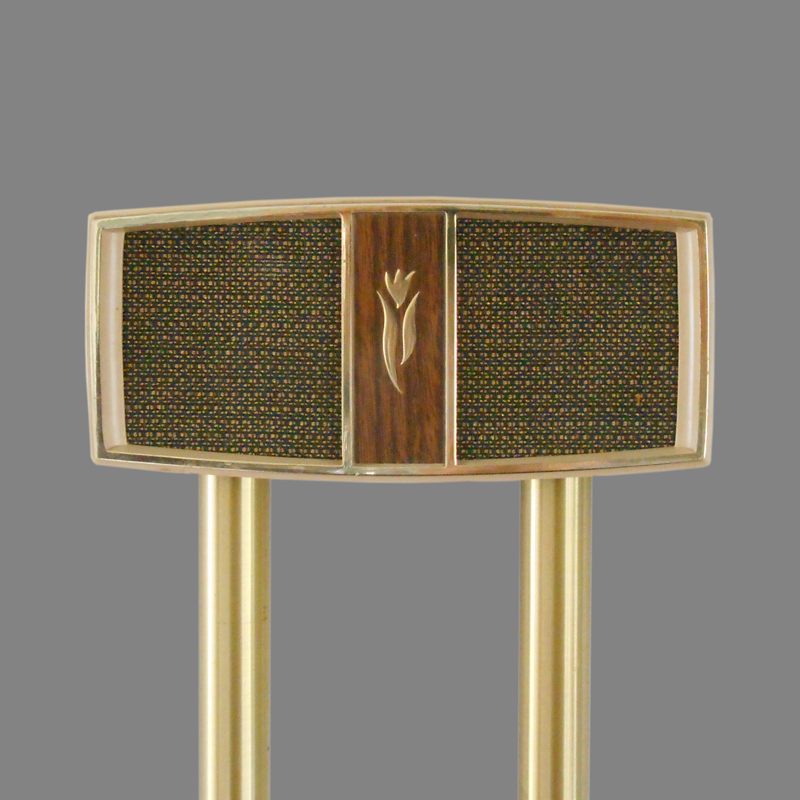 After developing electronics expertise building radios for the war effort, Rittenhouse devoted considerable post-war resources to a range of intercom related greeting systems and annunciators so the brand association made sense. 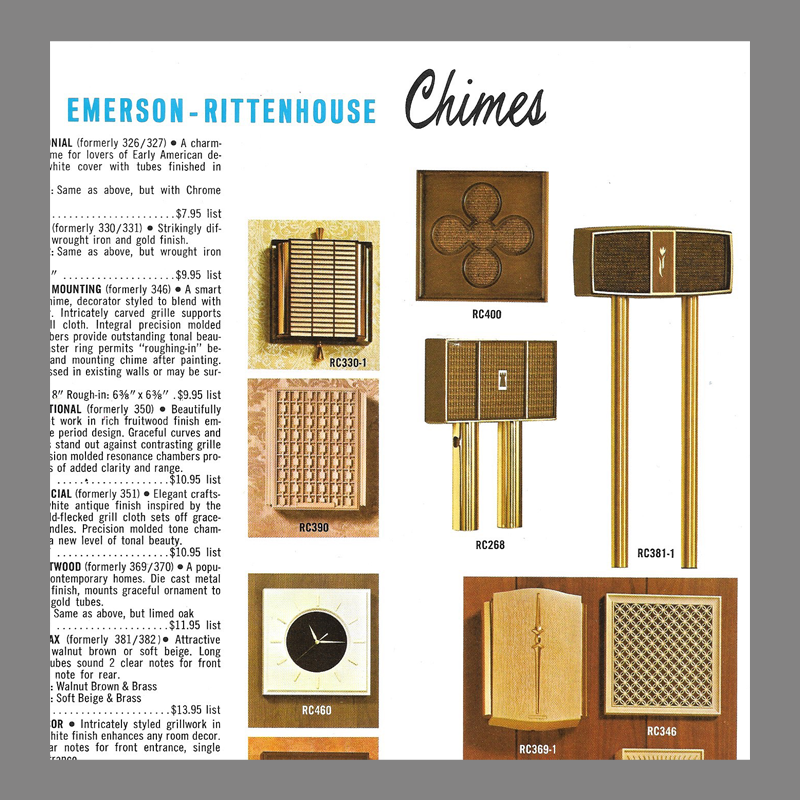 Emerson’s strategy included private branding and Rittenhouse became an OEM door chime supplier for other distributors, most notably Sears Roebuck and Company. This chime is similarly styled to chimes offered by Miami-Carey. Materials Cover: Styrene plastic, fabric grille cloth, Simulated Wood Grain Center. Metalic Gold Trim. Dimensions/specifications 39 inches tall, 8 1/4 inches wide, 3 inches deep.